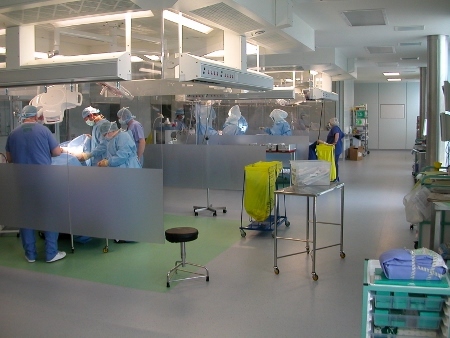 As operating theatres become ever more high tech, featuring integrated digital technology requiring monitors and touchscreens within the operating site clean zone, as well as integrated scanners, X-rays and microscopes, space, particularly at ceiling level, is at an ever-increasing premium. 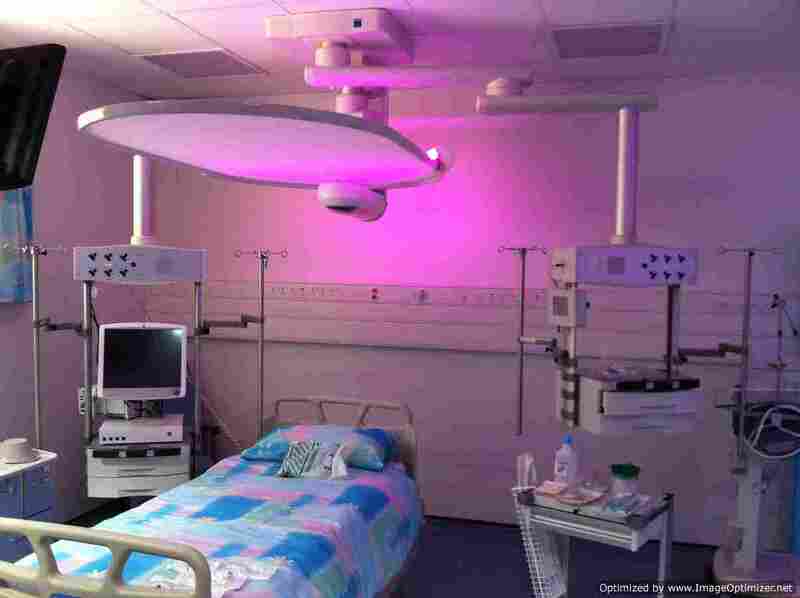 A 21st century operating theatre needs to allow for flexibility of equipment choice and changing work practices, while being ultra hygienic. 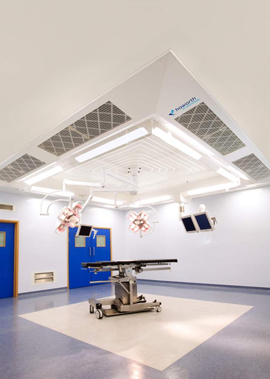 In response to this, clean air engineering specialist, Howorth Air Technology, has developed a new Screenless Exflow Ultra Clean Canopy to complement the range of Exflows it has been installing in private and public hospitals around the world for over 40 years. When designing the Screenless Exflow, Howorth could have easily taken the easy approach, positioning bulky low level recirculation ducts around the theatre with fans and chilled water coils in the theatre ceiling void or in vertical ducts around the theatre, necessitating plant and ductwork systems which are totally impractical in most retrofit situations. 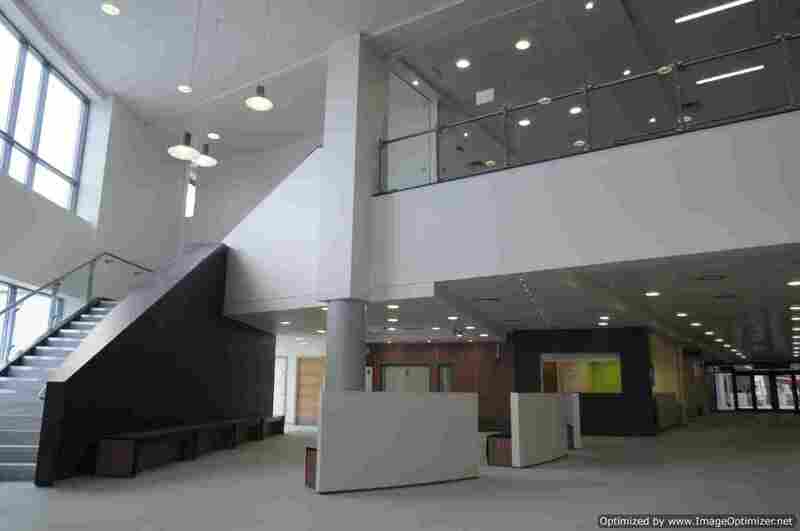 However, in keeping with the company’s innovative approach to design, it chose to develop a unique system that is suitable for both retrofits and new builds. 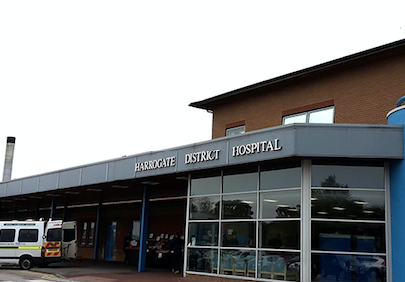 Howorth’s Screenless Exflow essentially retains the basic construction of its existing models, the Exflow 28 and Exflow 32, but with some innovative engineering at the air discharge. The company has recreated, and in many ways improved, the performance of the systems without the need for the partial walls or the additional requirement of low level recirculation ducts, remote fans or cooling coils. 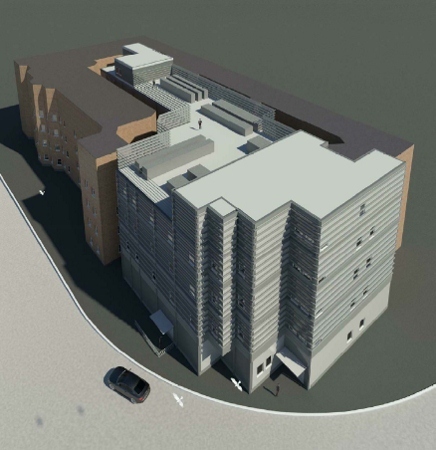 The unit remains an integral fan unit of modular construction, ideal for new build or retro-fit situations. 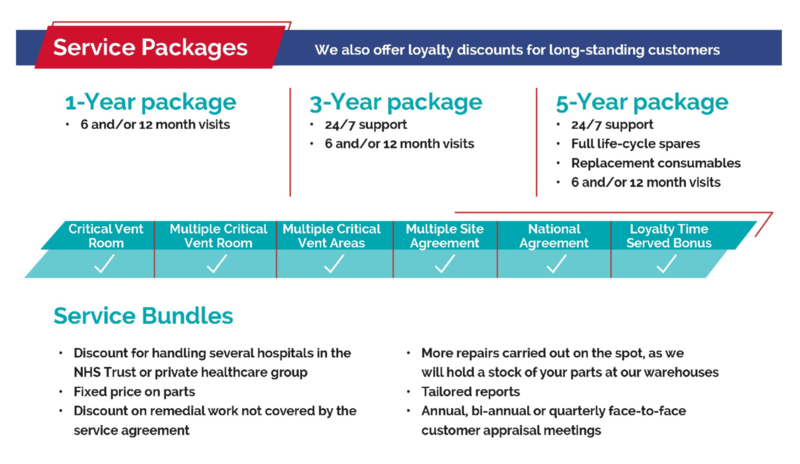 Installation time is kept to an absolute minimum and long term maintenance costs are lower than competitive products. At the core of this new product are the patented Passive Coanda and Active Coanda systems. These are unassisted (passive) or assisted (active) air displacement devices, designed to replicate the controlled airflow of a solid side-screen. Both the screenless models, currently designated the Exflow 28-12 and Exflow 32-12, exceed the performance requirements of HTM 03-01 in many areas, particularly with regard to the non-entrainment test. Rather than needing increased air volume, the primary airflow to the theatre remains the same as with other Exflow models, therefore lowering running costs.